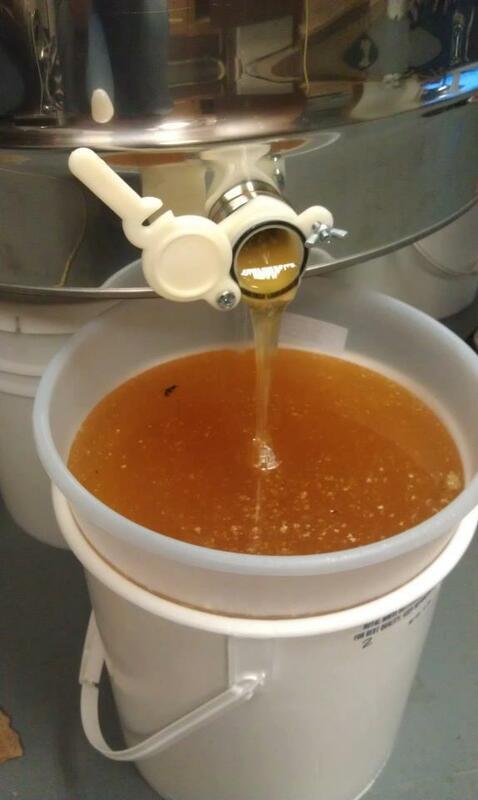 All our Honey is Raw and only lightly strained once so it retains all its unique floral scents and its health benefits with the pollen. You will taste & see the difference between our honey and commercially sold honey in the stores. If a honey is perfectly crystal clear with no pollen or anything in it you can guarantee it has been filtered numerous times and has been pasteurized. Our honey has only been lightly strained to remove any bee fragments and other miscellaneous materials from the hive. Also, Raw Honey (Honey which has not been pasteurized) has a lot of health benefits. The pollen and other properties of the honey remain in tact and helps people with their seasonal allergies. We do our best to keep our bees happy and healthy. Although we cannot control the agricultural environment around us, we do not use any chemicals around our house or near the bees that could affect them. And we do not directly place our bees anywhere that we know chemicals and pesticides will be used. Living in the Finger Lakes of NY, we appreciate and seek out a good glass of varietal wine. We took the same perspective with our honey. As each season goes by, the floral bouquet changes. We wanted to capture each season's uniqueness in our honey so that you not only can see the season but also taste it. Because each season has such a distinct flavor, we chose to harvest our honey right after each season has ended. We also have available some Orange Blossom Honey which is also Raw from when we take our hives to Florida every winter. It tastes as if you were standing in an orchard full of Orange Blossoms. It's one of my personal favorites. Keep in mind that all raw honey will naturally crystallize or granulate over time. There is nothing wrong with the honey, it is still perfectly fine even in its solid state. All raw honey will naturally do that over time. You can re-liquefy your jar of honey by placing it with the top off in a saucepan with some water and gently reheating it. Honey will crystallize/granulate quickly if placed in the refrigerator or kept in 50-60 degree temperatures. Also honey will crystallize very quickly if it's the Fall Honey which has a lot of Aster Flower pollen and nectar in it. It's best to keep honey at room temperature for storage and always leave the lid on so that moisture does not get into the honey and start fermenting it. *If you are a business and would like to carry our products in your store we would be glad to send you our wholesale pricing list. Buckwheat Honey: A dark rich almost molasses like honey from the Buckwheat flowers. Excellent on pancakes. Orange Blossom Honey: A light colored fruity flavored honey from the Orange Blossoms in Florida. My personal favorite. Ross Round Honey Comb: $15 Each. Light summer wildflower blend. Scoop it out with a spoon and enjoy as everything is edible, honey and comb! This product is seasonal and sells out very quickly. Need a unique party favor for your next event? How about our local honey! We'll bottle our honey for you in any size container you'd like. We have many varieties to choose from. No event is too large or too small. Please call or email us for a quote. 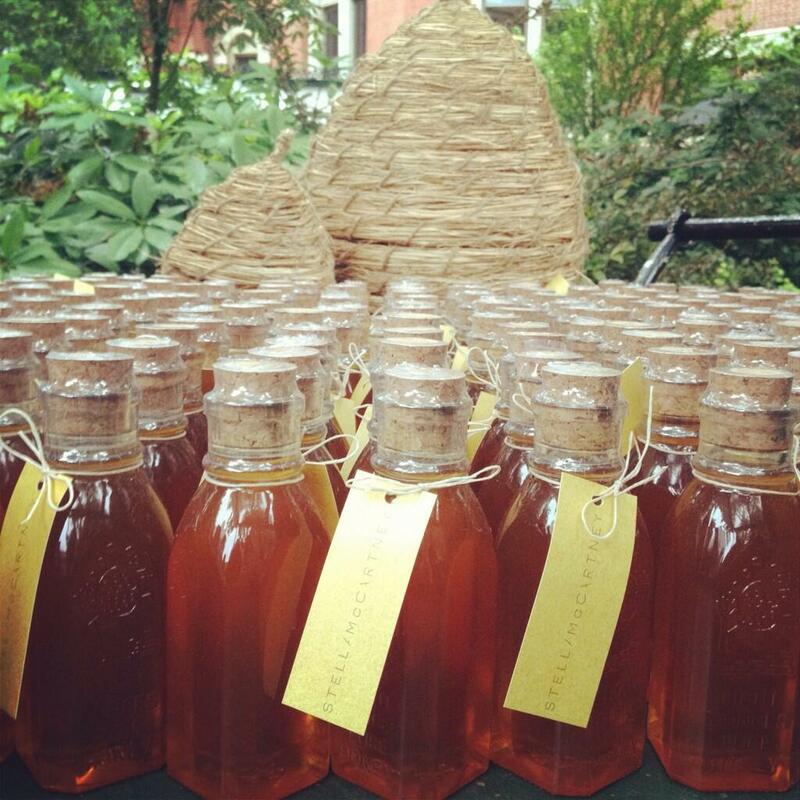 See our honey below that was at Stella McCartney's Spring '14 Fashion Show in June 2013. Photo courtesy of Stella McCartney.